David Bundy suffers from an invisible disease. To a bystander, Bundy may not appear physically disabled, but the 64-year-old is among those afflicted with trigeminal neuralgia, a rare disorder of the facial nerves considered one of the most painful conditions known to modern medicine. “We look fine, but we’re not,” said Bundy of New Philadelphia. While the exact incidence of trigeminal neuralgia is unknown, approximately 10,000 to 15,000 new cases occur each year in the United States, according to the National Organization for Rare Diseases. For those suffering with trigeminal neuralgia, episodes of intense facial pain can be triggered by simple daily tasks, such as speaking, shaving, brushing their teeth and even walking outside. “When the wind hits me, it’s like someone throwing acid on my face,” Bundy said. Bundy said he now has to wear a mask when he goes outside and often stumbles when he speaks due to the pain. Bundy even carries a card in his wallet that helps explain his condition to those around him. Bundy said he has undergone three different surgical procedures, but continues to suffer from facial pain and must be heavily medicated in order to complete everyday tasks. Ferris said her aunt, 58-year-old Judy Littleton of New Philadelphia, once was active and outgoing. Now the pain prevents her from doing many of the things she once enjoyed included going to the beach and walking outside. Bundy, Ferris and Littleton are the organizers of the Race to Save Face, a local charity event that raises money for trigeminal-neuralgia research. Ferris said, at first, she was hesitant when her aunt approached her about organizing the race four years ago. Putting together such an event is a lot of work, and Ferris had two young children to care for. Ultimately, Ferris agreed to help. The fourth annual Race to Save Face begins Friday at 6:30 p.m. at the School House Winery at 455 Schneiders Crossing Road NW in Dover. The event features a 1-mile run suitable for children, a competitive 5-mile run, a 2-mile walk, as well as a silent auction, raffle and live music by Ren. Proceeds from the event will be donated to the Facial Pain Research Association, a Florida-based nonprofit dedicated to finding a cure for trigeminal neuralgia. Ferris said the race is a way for those afflicted with the disease to connect with one another. 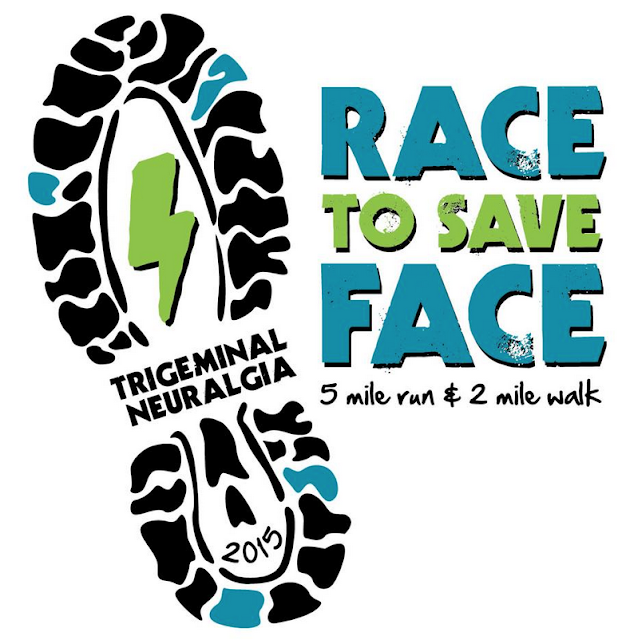 Trigeminal neuralgia sufferers from across the country attend this year’s event. Some will participate in the races while others will show their support from the sidelines. Littleton said the event has raised more than $23,000 for the Facial Pain Research Association over the last three years. Those donations have been matched by generous donors throughout the country including Tom and Susie Wasdin of Cocoa, Florida, and the Cilker Family Foundation of Las Gatos, California. Money raised during this year’s event will be matched by the McKnight Brain Institute in Gainesville, Florida. “The dollars raised are important, but even more important is getting the word and awareness out there,” said Michael Pasternak, head of the Trigeminal Neuralgia Research Foundation. Those wishing to participate in the race can still sign up. Registrations can be submitted online at www.runsignup.com/Race/OH/Dover/RacetoSaveFace until 9:15 p.m. tonight. 5 p.m. Friday at the School House Winery. The cost of registration is $7 for the one-mile run with a $2 registration fee for online applications, $25 for the two-mile walk and $30 for the 5-mile run, both with an additional $2.50 registration fee for online applications.